Pepperland in a 3D virtual world. Pepperland in Littlefield grid is based on the 1968 ground breaking animated cartoon, 'Yellow Submarine'. This two sim region recreates scenes from the 1968 musical fantasy Yellow Submarine, an animated film based on the songs of the Beatles. The video here shows some of those scenes. You can watch Yellow Submarine online here. 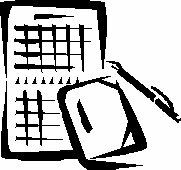 This week the Short Poetry Workshop features a new poetry form– the Vers Beaucoup which is a form with 4 stanzas and with a rhyming word scheme. 2015 EDU: Micrographia in the virtual world. A museum on your desk. Micrographia in the virtual world. A museum on your desk. Micrographia is a historically significant book by Robert Hooke, detailing the then thirty-year-old Hooke's observations through various lenses. Published in January 1665, the first major publication of the Royal Society, it was the first scientific best-seller, inspiring a wide public interest in the new science of microscopy. It is also notable for coining the biological term cell. 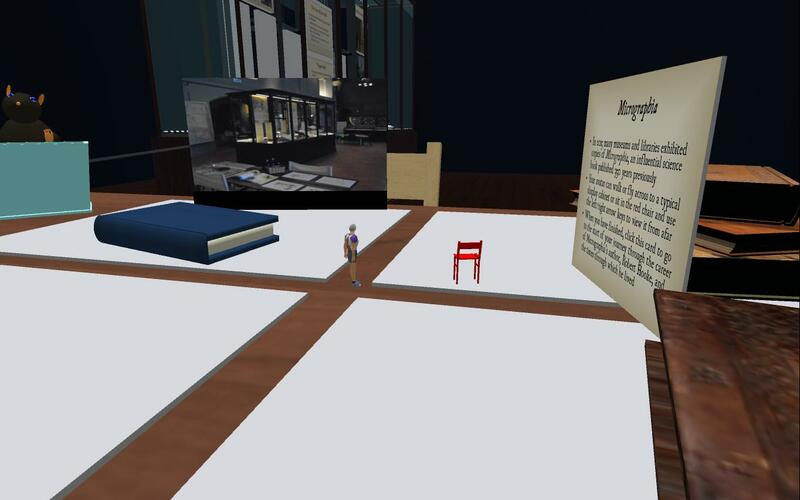 This display is a virtual museum telling about the book. HG addess: Paste in world map next to Find. Click Find, Teleport. Thanks to Metaverse Tours for featuring this museum world. In virtual reality, you don't just look. You are there in the world with other people. Chris Milk uses cutting edge technology to produce astonishing films that delight and enchant. But for Milk, the human story is the driving force behind everything he does. In this talk, he shows some of his collaborations with musicians including Kanye West and Arcade Fire, and describes his latest, mind-bending experiments with virtual reality. 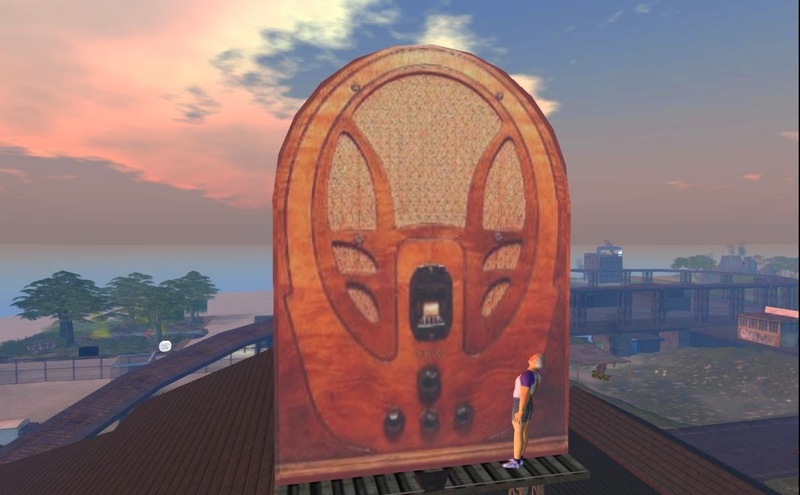 2015 HELP: Radio for your place - Radio for the metaverse. Anyone for podcasts? Radio for your place - Radio for the metaverse. 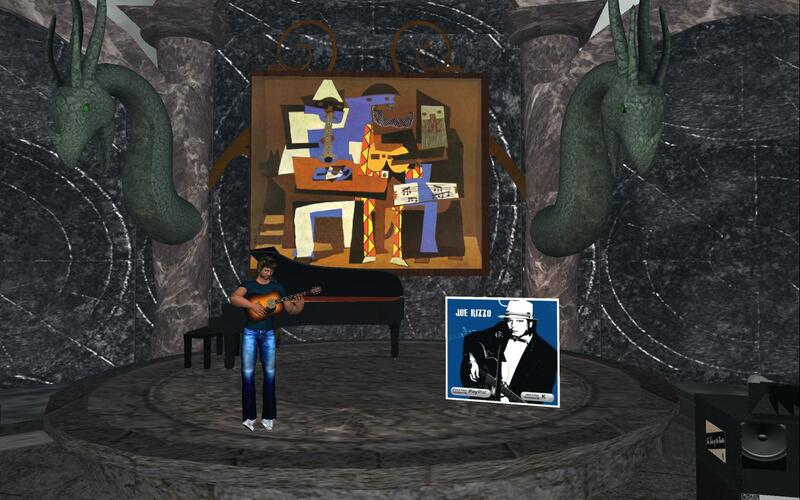 Virtual worlds can carry streaming audio from the internet. You can stream audio to your place. Live music. DJ managed music. Internet radio. Theme targeted music. Audio dramas. Voice-over narrations for the site. Group members can use it if deeded to group. Never deed your only copy to a group. 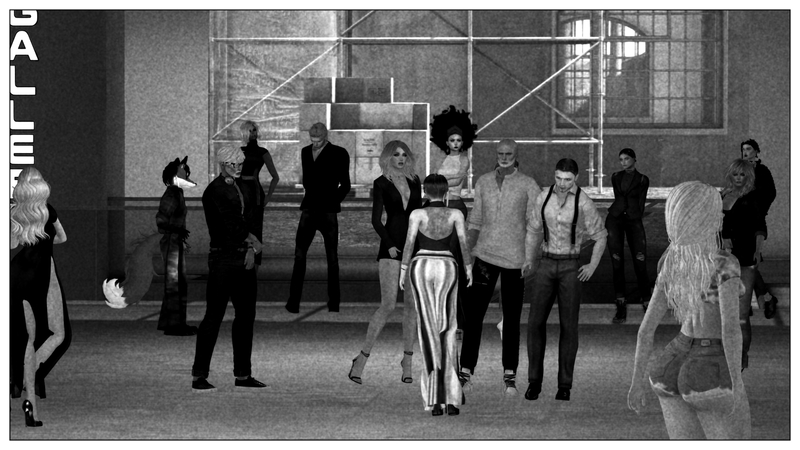 the 12th anniversary of Second Life. 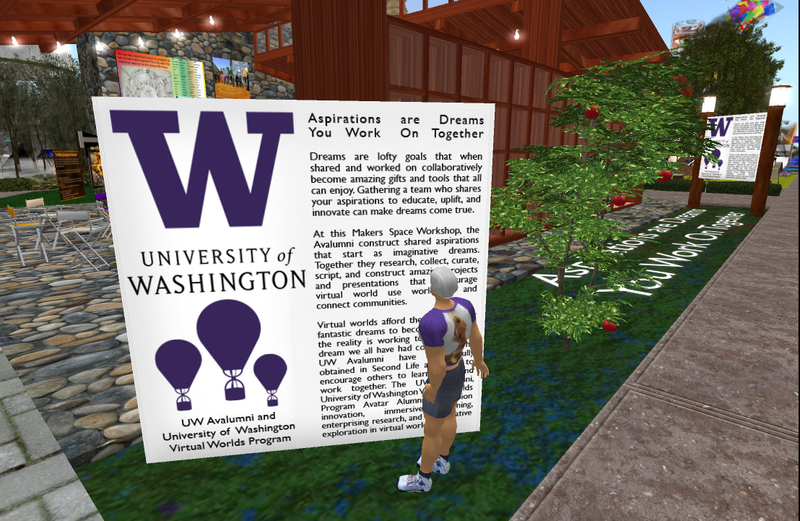 This year’s theme for the SL12B Community Celebration is “What Dreams May Come.” Yes, virtual worlds are "the stuff dreams are made of". Not wishes (not horses). But imagination. The stories in the head. Stories made, not real, but digital. Stories made visible, walkable, shared. Here are some examples. Morlita Quan! 2PM Pacific (SLT) Wed., June 24th! Since the Hypergrid is growing and the prospects for music and other entertainment on the Hypergrid may be growing, this community is needed to let everyone interested in entertainment on the Hypergrid to share information and ideas. I hope this place becomes one of the go-to places to find out what is happening in entertainment in virtual worlds. Agents: recruit clients, promote your clients, look for venues. Radio steamers: Think of your radio stream as different kind of venue. Bloggers: Promote your articles about events. This week the Short Poetry Workshop revisits Prose Poetry. A controversial subject in the literary world since the early 1800s Prose Poetry can be written in prose style, or take the shape of many styles. Popular poets such as Gertrude Stein, William Carlos Williams, Robert Bly, Edgar Allen Poe, T.S. Elliot, e.e. cummings, wrote Prose Poetry. Join us at the Short Poetry Library to learn, write and share your Prose poem. Morlita Quan! 2 PM Pacific (SLT) Wed., June 24th! Mobility limited, housebound, paraplegic, crippled--cringe terms, all of them. We don't want to think of those terms. Housebound seems so limiting. Or it used to seem so limiting. That was before the internet. Before email, before Skype, before virtual worlds. The worlds of the internet are as near as your computer. Your friends are in your headphones. And listening to your microphone. 2015 EDU: TKR: Sir Ken Robinson: Do schools kill creativity? Paleontology, ecology--come alive! If you are going to play the role of T. Rex, you have to find out how T. Rex made a living. Is this an accurate depiction? Can you make a video about T. Rex making a kill? The really interesting part starts after about 14 minutes. Sure you know how to learn. That's how you got through school. Was it hard? Did you notice the "brains" who seemed to learn everything easily? Did you wonder how they did that? Do you still have to learn things? Do you wish you knew the secret that would make your learning easy? The secret lies in a collection of skills and habits that fit what you have to learn to the way your brain works. Here are a few for you to try out. They may fit you. 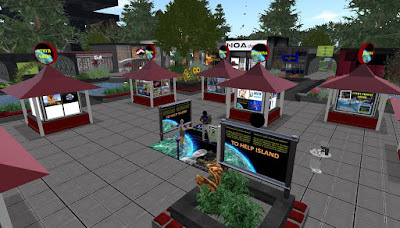 2015 EDU: Simvalley offered free land, 1024 sqm, and free sim for a while. Now Closed. Educators: If you are looking into the Hypergrid as a place to try using virtual worlds for instruction, Simvalley is an educator-friendly grid that offers free land and good entry level on-boarding for incoming students. 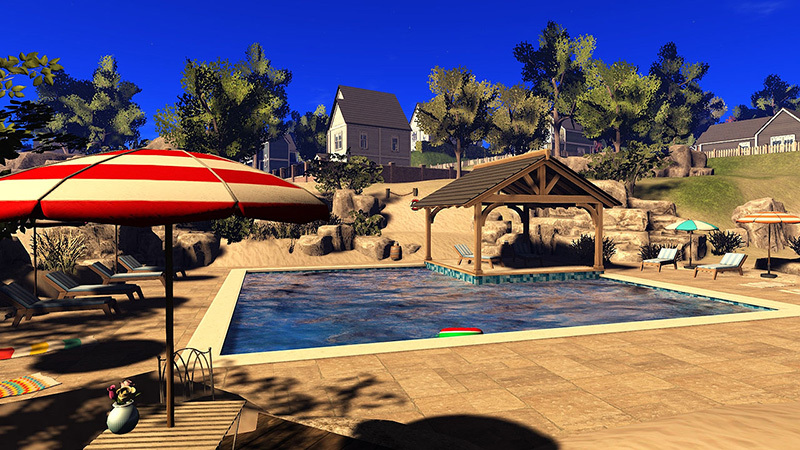 Educators can rent a sim (65,000 sqm / 15,000 prims) till 1-1-2016 for FREE! These pages are sometimes unavailable (time out error). 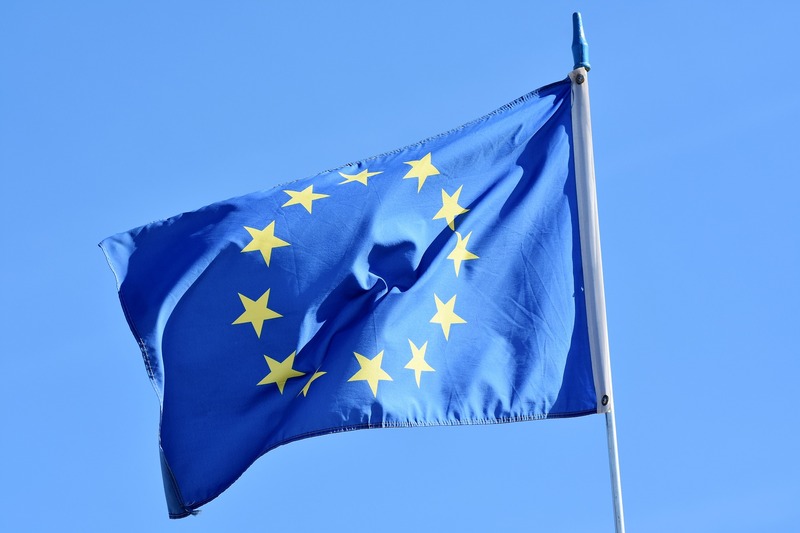 Problems may be due to server location in Europe and low bandwidth. This park was originally built in Second Life. "That Kitely pricing plan leaves an opening for my kind of work," Ann remarked. Ann lives in my head and comments whenever she sees an opening. I usually just steal her ideas, but now she wants a byline. Selby: And you're going to tell me about it? Ann: I shouldn't have to tell you about it. You already wrote about it in your article. Selby: You can tell it better than I can. Ann: True. And I will. After the break. Hypergridders have lots of work in progress. The WIP show is a place where we can get together and show it. Show what we are doing, tell a little about it. Maybe get the presentation on video, as here. Maybe ask other creators for advice, scripts, or content. Certainly find out what other creators are working on. Creative collaboration, we call it. Or find Cookie in the world map. I find out about a lot more things than I can report on in my daily blogs. So twice a month I will gather and post information and links about upcoming opportunities and events in SL or HG. Just the ones that I think will interest my readers. 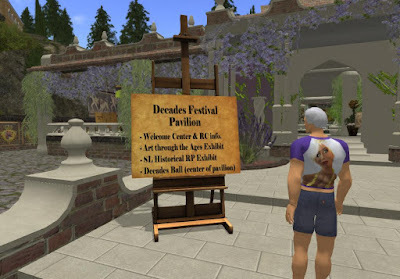 The Decades Festival, a celebration of Historical education and RP in virtual worlds, will start on Valhalla Island in Second Life at 12:01 am on June 27. What follows will be 24 hours of learning and fun! 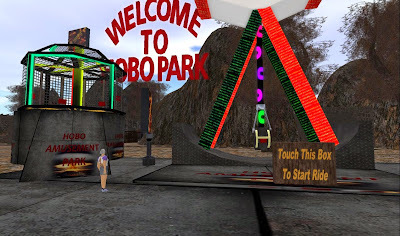 SLurl: Double click to go or drag to you viewer screen. Other options: 1. Good if you want lots of space. 2. You can't be serious. *Ok, I'm a nickel off. This week the Short Poetry Workshop features a new poetry form-the Epistolary poem. These poems are quite literally poems that read as letters. The themes may be moral and philosophical, intimate or sentimental. Early poems date back to Ovid in 18AD. 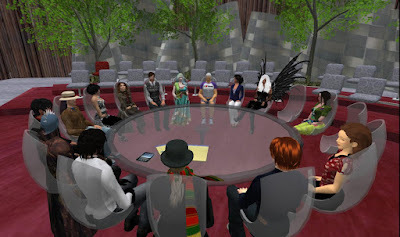 Professional Library/Education Groups in virtual Worlds. List and contact information for Professional Library and Education Groups in virtual worlds. If you know of any other groups that should be listed, please add them in the comments section of this article. 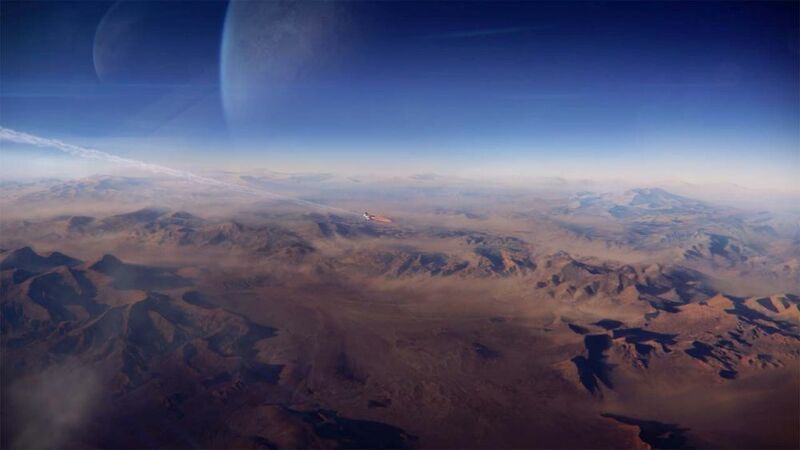 2914 TKR: About being one. Search Inside Yourself. About being one. Search Inside Yourself. Google's Jolly Good Fellow reveals how to calm your mind on demand and return it to a natural state of happiness, deepen self-awareness in a way that fosters self-confidence, harness empathy and compassion into outstanding leadership, and build highly productive collaborations based on trust and transparent communication. Chade Meng Tan shows how to grow inner joy while succeeding at your work. Starfleet Astraios, in the Gamma quadrant. 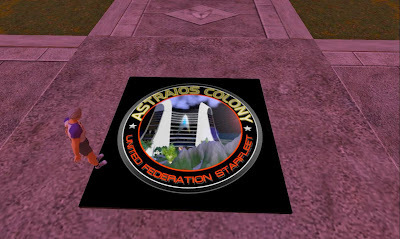 "Starfleet Astraios" is an outpost of United Federation Starfleet, which is based on hypergrid-enabled 3rd Rock Grid. Roleplaying 'Star Trek' in the Gamma Quadrant with avatars, ships, stations, uniforms, Starfleet Academy, and more! Roleplaying in a Virtual World gives you the ability to be immersed in the scenes and settings. 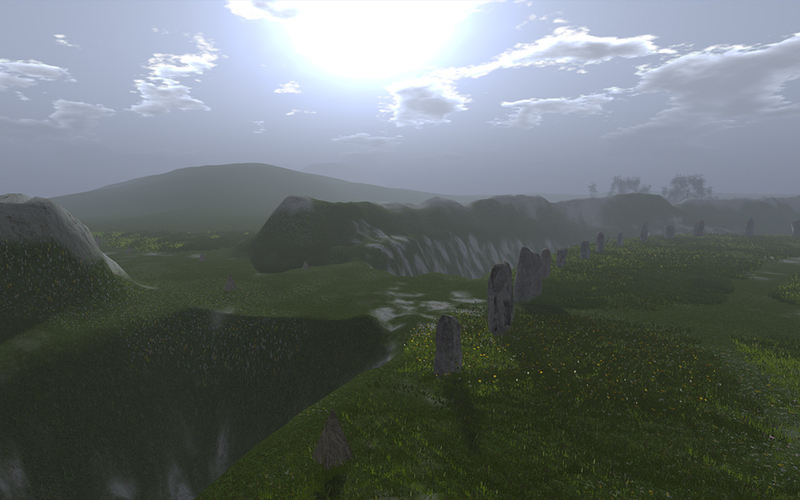 You can have an avatar to fit the character and the avatar can be in a virtual landscape created to support imagination, storytelling and roleplaying. next to Find, click Find, Click Teleport when found.